Beacons of hope on a wild night is the rationale for the construction of lighthouses. 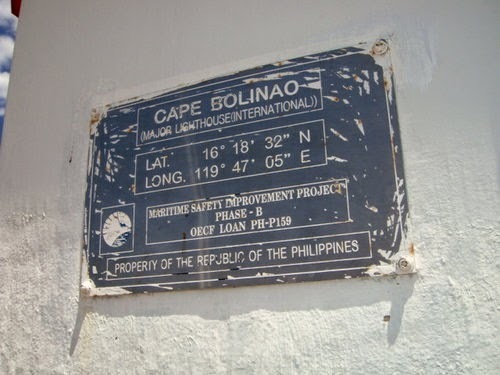 In the town of Bolinao, Pangasinan, sitting on top of the rocky hill Punta Piedra Point whilst overlooking the South China Sea West Philippine Sea is the Cape Bolinao Lighthouse. 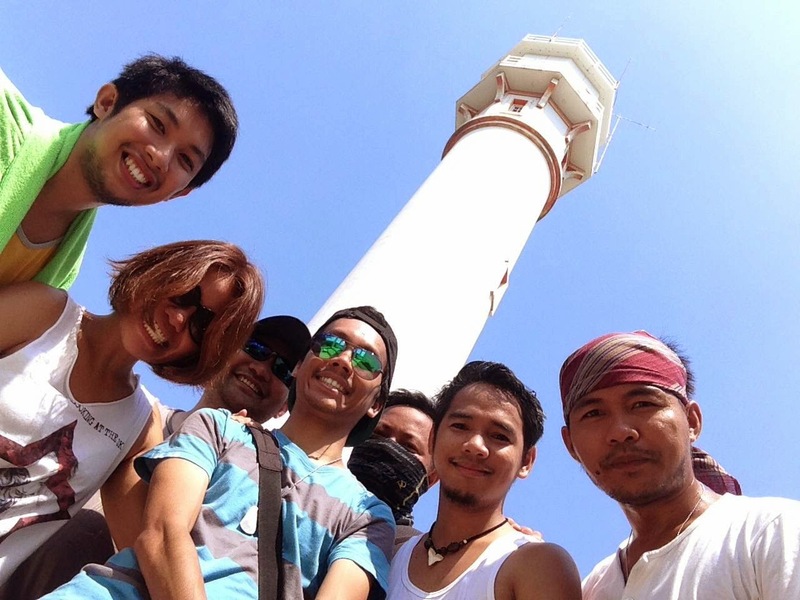 Before we went back to Manila after our Patar beach getaway, we instructed our tricycle driver to drop by this second tallest lighthouse in the Philippines. 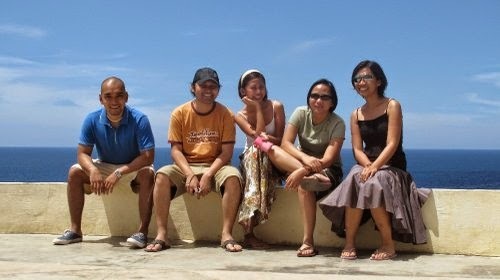 I have been to the lighthouse a few years back with my good friends from law school, before I graduated and entered the review classes for the bar exams. It was a fun-filled experience I recall, with feelings of uncertainty on what our fates will be years from then. Then, let's move forward - the present. 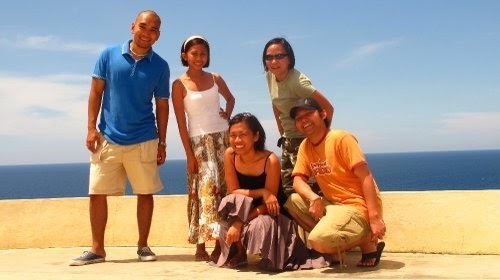 Revisiting the iconic landmark of Bolinao Pangasinan indeed feels the same. No significant improvement on the structure and the unbearable heat remains. Nevertheless, there are now souvenir shops before ascending to the lighthouse, which was not present before. I am back at the lighthouse with no longer the law books as my sole ally rather the destinations that ought to be discovered becomes my point of interest. I no longer write essays on exam booklets, answer hypothetical questions and recite provisions of law, as the public now becomes my instant audience in telling stories of travel, no longer hypothetical and memorized. 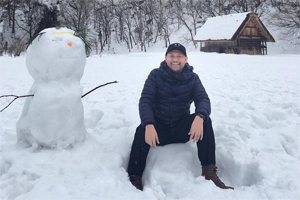 With friends from travel blogging in tow, every moment is a time worth keeping and telling. The fascination from visiting lighthouses is even more enjoyed when shared with a good company. Indeed, history and architecture combined, enthusiasts would jump for joy a number of times, literally and figuratively speaking, depending on intensity, over a sight of century-old lighthouses. However, admit it or not, the fact of seeing the landmark without someone to share with is like passing by a stone church or an ornate lamp post devoid of memories that may even go into oblivion if not for the selfie shots serving as reminder. Unless one is into deep soul searching and enjoys the waters of Bolinao Pangasinan, all by himself, then a visit to the lighthouse alone with a monopod and tripod, as the case may be, will still be fine and enjoyable. Whatever your travel preference is, no sarcasm and judgmental disposition intended, every visit to Bolinao Pangasinan indeed mandates a visit to the famed lighthouse. It's such always a delight to read travel stories with friends. But -- although clarified -- I beg to disagree with this sir: "Admit it or not, the fact of seeing the landmark without someone to share with is like passing by a stone church or an ornate lamp post devoid of memories that may even go into oblivion if not for the selfie shots serving as reminder." Memories are easy to make but hard to forget.